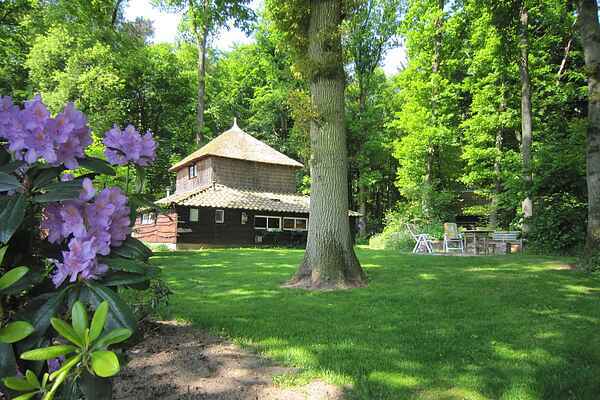 Hellendoorn lies 16 km west of Almelo. This extremely nice house is situated on the edge of the woods, behind the former farmhouse of the landlord and set in its own grounds of 3000 m. The property has all modern comforts although it is simply furnished. The walking route, the Pieterpad runs behind the house. The small windows give a clue to the fact that originally this house did not serve a residential purpose. Patio with garden furniture. ATTENTION! During the winter days the night quite cool .